This is a new item. It's a blush/highlighter/bronzer trio that comes in a gigantic compact with a full mirror, just like the Pixi Bronze Bloom Trio. It's infused with anti-aging ingredients like peptides, hyaluronic acid, hydrolyzed collagen, silk, green and white tea and "drops of light technology" (which is basically just shimmer). 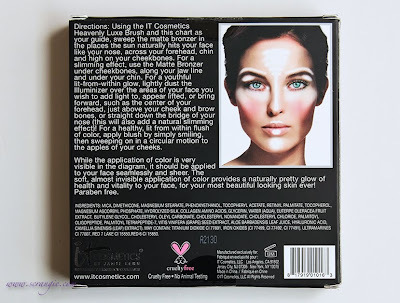 The back of the box features a diagram on how to use the products in here, but one word of warning: The highlighter is very frosty and shiny. If you apply it all over your chin and cheekbones and forehead as illustrated, you're going to have a very shiny face. 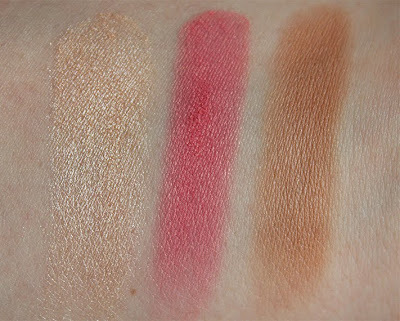 The blush in this trio is extremely pigmented and has only a small amount of shimmer. Most of the shimmer is overspray. It's so pigmented that it can stain your cheeks before you get a chance to blend it out fully, so make sure to tap the excess powder off your brush before applying. Otherwise, it's a good, pigmented, smooth-textured blush in a natural-looking color. The bronzer is matte and very light. The texture is hard and it's difficult to pick up much product. I needed to load my brush three or four times and keep going over my face with it to get the color to show up. I actually like this because it keeps me from overdoing it as I'm someone who only wears bronzer to add shape to my cheekbones and not to look tan. 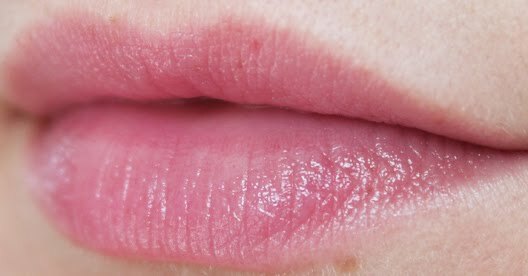 This is described as a 4-in-1 product: A lip stain, an anti-aging conditioning lip balm, a long-wear sheer lipstick and a light glossy finish. I agree with this description. What this is is one of those pH-reactive color changing lip balms that we've been seeing a lot of lately. 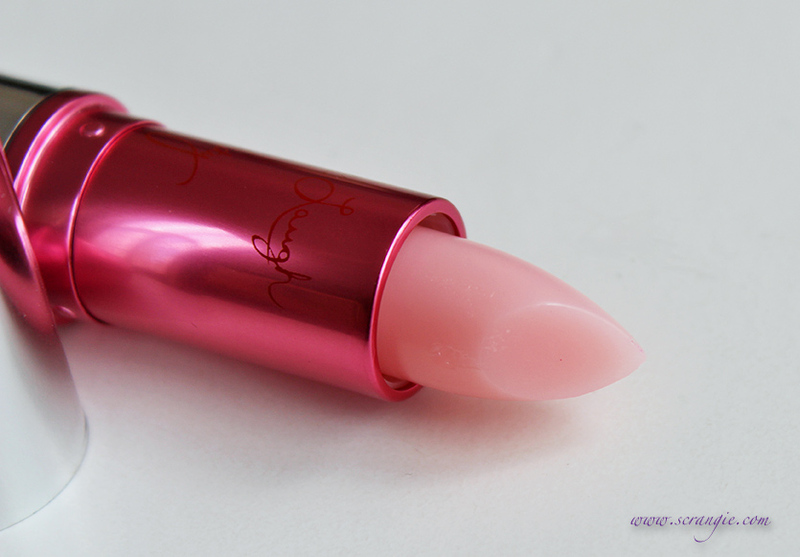 Reminds me of the Pixi Magic Tink Tint, just softer and more balm-like. 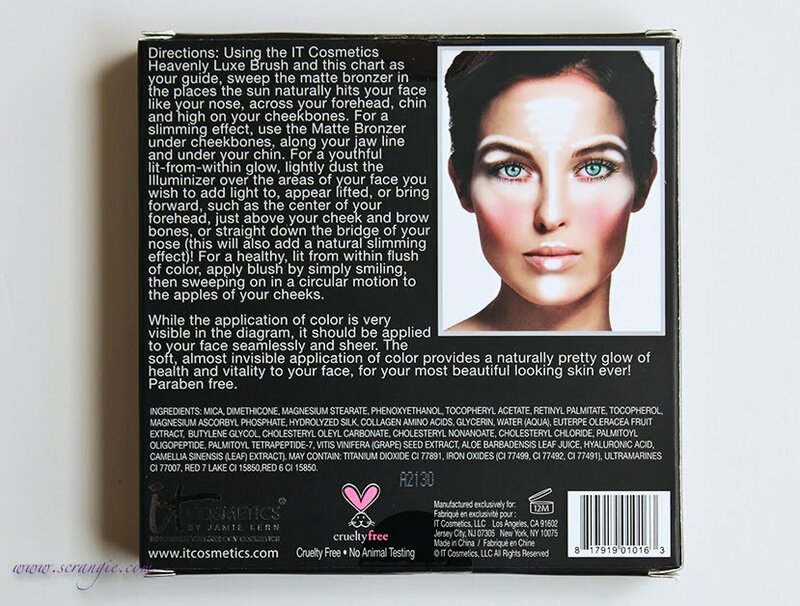 Good texture, feels very hydrating, starts out clear and changes color enough to be noticeable but doesn't get too dark and it wears for a good long while. It has a light, subtle scent that disappears quickly. Packaging is pretty and shiny. I think this is very good, I would definitely buy another one of these. 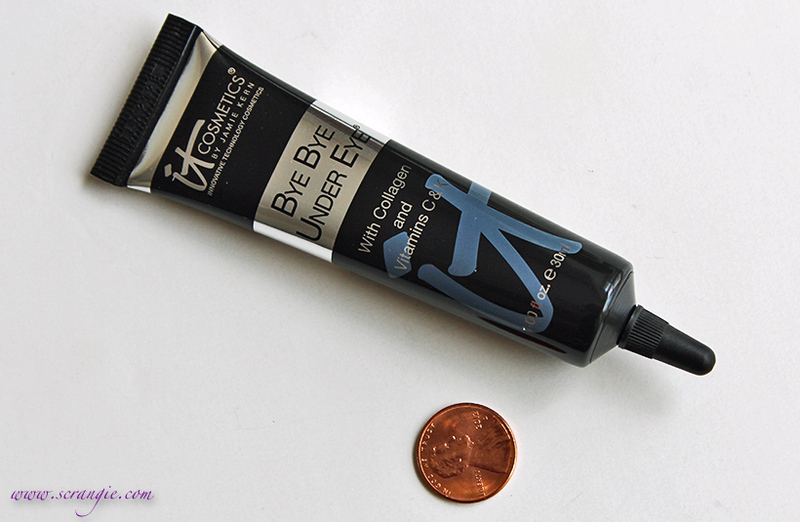 This is just a double-size tube of the Bye Bye Under Eye concealer. It's a full ounce of product, which is a lot of concealer. I've previously reviewed this product, so check here for the full review. You can select your shade when ordering the kit. 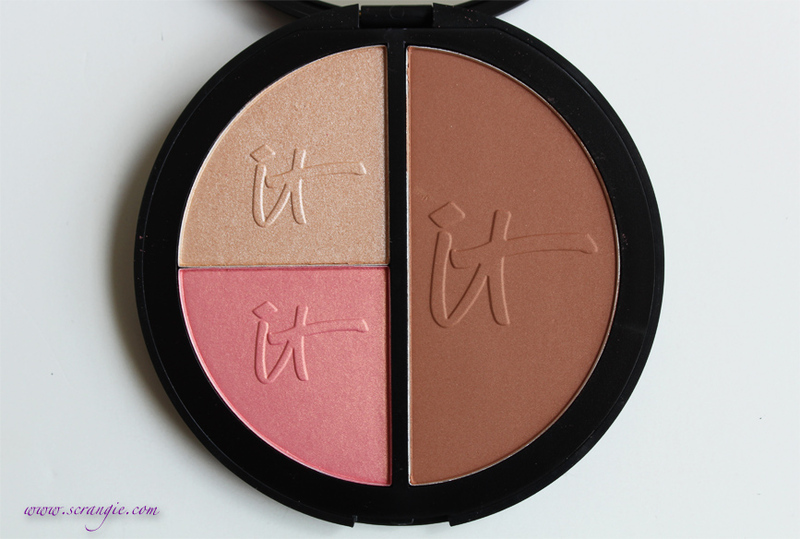 It's available in light (ultra fair), medium (light medium), tan (warm medium) and deep (rich tan). This is a super giant fluffy powder brush. It's very soft, very large and features 120,000 hairs. 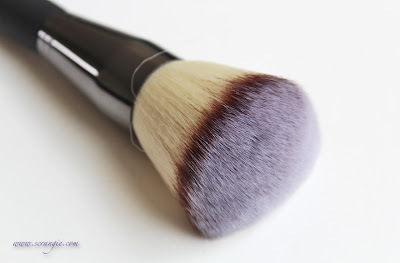 It's just as soft as the Heavenly Luxe Ultra-Plush Powder Brush, but since the bristles are less densely packed, it's more comfortable on my face. I like this one better. 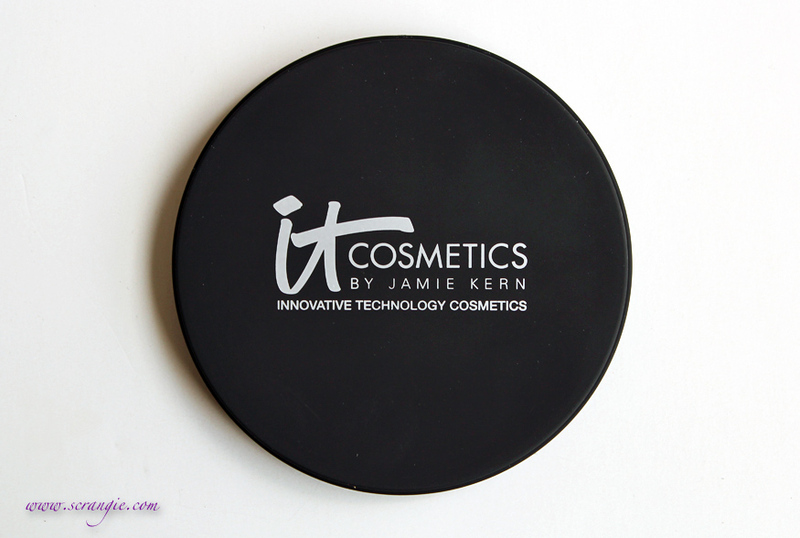 It's good for applying and dusting off excess loose powder, but also makes a good brush for applying shimmer or bronzer to the body. Another very soft brush with a rubberized handle. I've also reviewed this one before, so check here for more information. 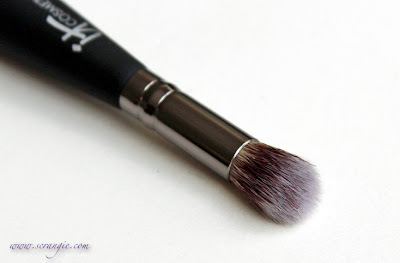 I like the small end of this brush best as a shadow blending brush and the large end is great as a blush/bronzer blush. It's very dense and soft which makes it nice for buffing and blending. Would probably be nice for applying mineral makeup as well, but I'm all out of my Bare Minerals so I haven't been able to test it. This is definitely a good value compared to buying each item separately. 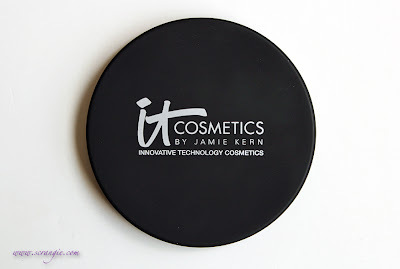 Especially if you're already a fan of the IT Cosmetics concealer, because you get the entire set for less than the price of the full one-ounce tube. My favorite items in the kit are the jumbo powder brush and the Vitality Lip Flush. Since this is a Today's Special Value, that means the $59.94 price is vaild today (July 27th, 2012) only. The item number is #A228718 for Auto-Delivery or #A226577 a one-time order and you can order it by calling QVC at 1-800-345-1515 or you can get it online at QVC.com. It's available in light, medium, tan and deep, so be sure to check swatches to see what matches your skin tone. You've run out of something, a shopping trip beckons! 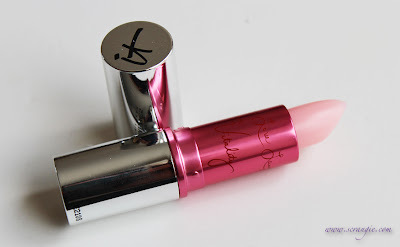 I like the lip product, the colour is very low maintenance and pretty on you. 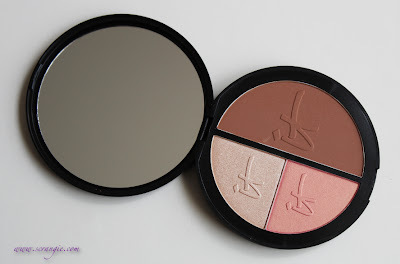 I struggle with bronzers and blushes generally, as I am pale and have a fear of looking orange or like a clown, so the subtle one sounds good. Thanks for the review. Love this company's concealer but you HAVE to pat it on - anything else and it will not lay right. 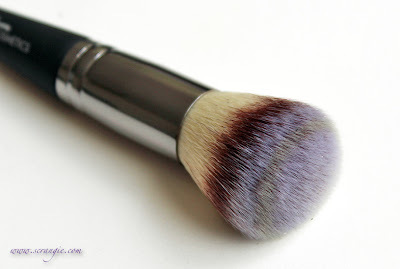 After patting you can take the little brush to it to blend further. I thought I wanted to try this set and then ran out of time and the TSV was gone and done - end of that day. Now reading your review I am soooo glad I did not order it. I don't do well with bronzers at all. The only one that really works on me is from Tarte. Reading that you say this bronzer is hard to pick up from it's pressed form reminds me of the same issue with IT pressed foundation (right now the only foundtion they have. It won't come up with a brush at all..you have to really scrape it up with a sponge and even at that, any moisturizer that transfers to the foundation in the compact, lays down almost a seal that makes it even harder to get the product up - you have to treat the surface really rough to get the product up - but once you have it on your sponge, the foundation covers OK - I would not have liked anything about this compact I can tell - I want a cheek stain from IT as their stain technology works - but I will wait for them to come back out with the loose powder stain. 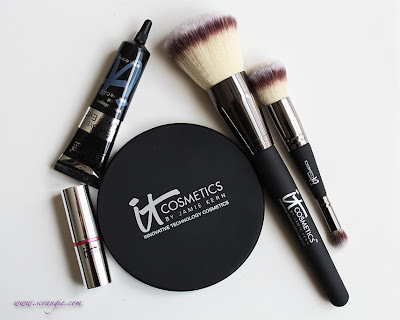 I love the lipstick/stain that was in this grouping and I do like their eyebrow pencil - however I don't think it's tons better than the YBF eyebrow pencil over on HSN which I have used since it was Model's Own on QVC. I use Laura Mercier pot gel eyebrow product and put it on with a brush from Smashbox I love, love made just for their old brow product. But when in a hurry or traveling the YBF brow is my go to. It's cheaper than the one by IT that many just rave, rave about. So far, IT lipstick/stains, concealer & Bye Bye Pores are hits with me.